Damage/Repair Repairs to chest, cracks, bug damage and chips. 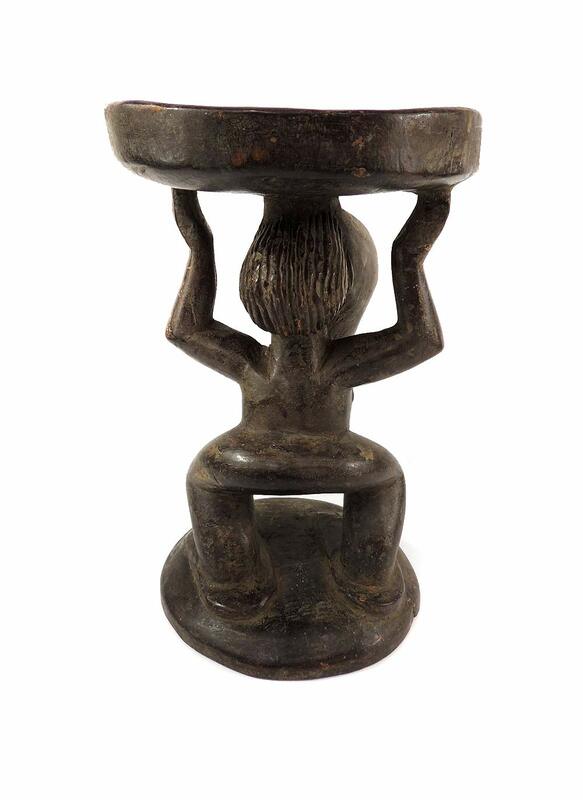 Additional Information: This stool is carved with a standing female figure, supporting a seat with her arms. 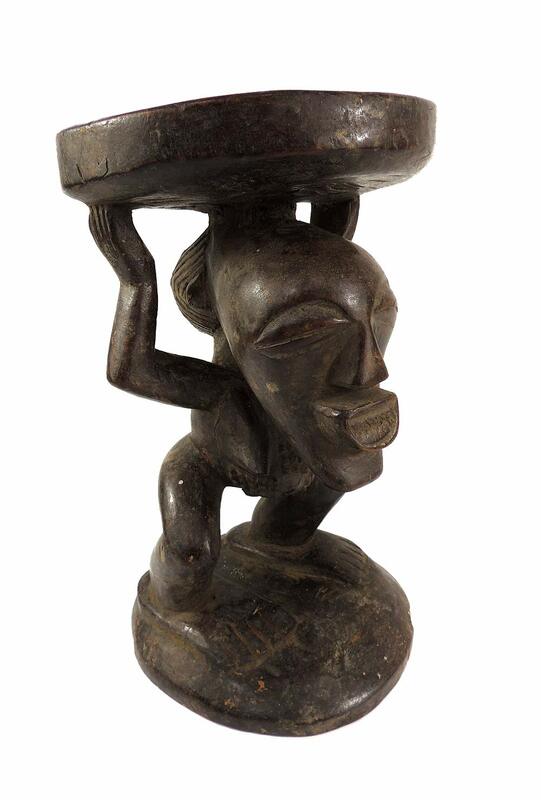 The standing female comes from a number of stylistically related groups in the Democratic Republic of Congo either the Luba subgroups or neighbors subtlety influenced by Luba art and symbolism. The different forms and styles of Luba and Hemba influenced sculptures generally served a common purpose as ‘objects of power’, ritual and ceremony. This stool serves to recognize the rank of a chief or senior lineage head as they would be seated during ceremonies. 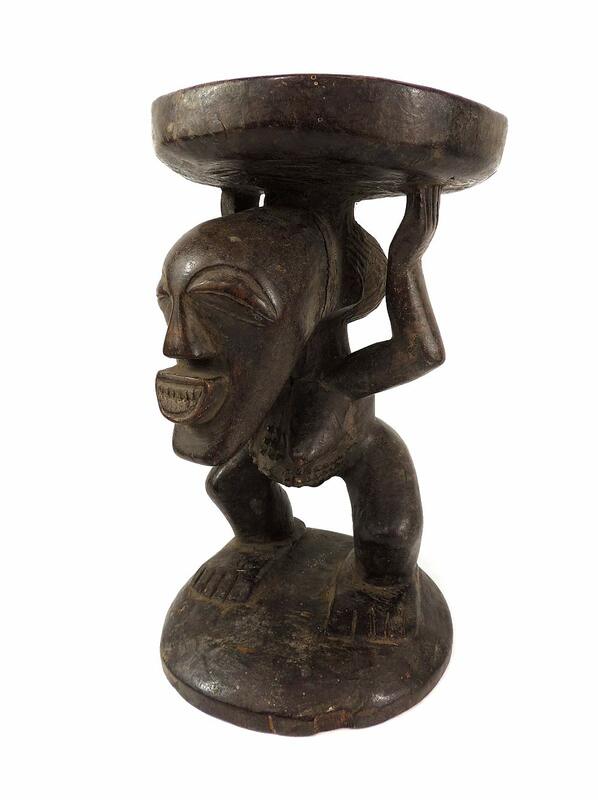 This elegant female figure supporting the stool may make reference to a Luba proverb that states: “that it is the king who rules during the day and the woman who rules at night”. The Luba are known for the variety of their sculptures including bowls, pipes, figures, drums, and ritual devices.